The x-ray method is used to determine residual macrostresses in the surface layer of protective coatings on high-temperature alloys. 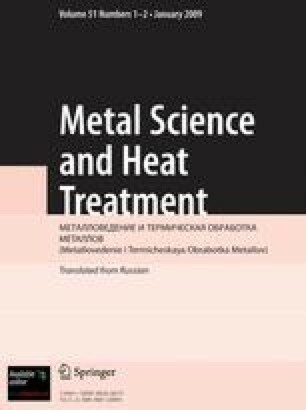 Coatings deposited by the high-energy vacuum-plasma (HEVP) method were subjected to diffusion annealing and mechanical treatment. The calculated and experimental values of residual thermal stresses in the coatings are compared. Translated from Metallovedenie i Termicheskaya Obrabotka Metallov, No. 11, pp. 30–34, November, 1997.